Occupancy begins at noon on the day your contract starts, unless other arrangements have been confirmed with Student Housing and Hospitality Services. Moving times are between 8am and 10pm. It’s okay to park a moving truck outside your unit for a short period. Please ensure minimal disruption to other residents. Visit the Front Desk to pick up the keys to your new home and sign your contract. Basic cable TV service is included in the rent (channels 2-59). Basic internet is currently only included for units in the Acadia highrise. Want more service, like digital cable or high-speed internet? Contact Shaw or Telus to buy a package at an extra cost. Wireless service is available at the Commonsblock, the Beanery Coffeehouse and the study rooms in the Acadia High Rise. This is optional and not included in your rent. To hook up a landline at an extra cost, contact Shaw or Telus. Carpets are usually scheduled before you move in or during your first week of occupancy. All units are inspected by housekeeping. If you feel your unit is not acceptable, contact the Front Desk. Acadia Park residents can move out any time of year. Visit the Front Desk to complete a notice to vacate form and be sure to read our policy in your residential agreement. Within 24 hours we’ll schedule a first inspection of your unit. During this inspection you will get a detailed cleaning checklist. Pay close attention. You may be charged if any cleaning requirements are not completed by noon on the last day of the month. 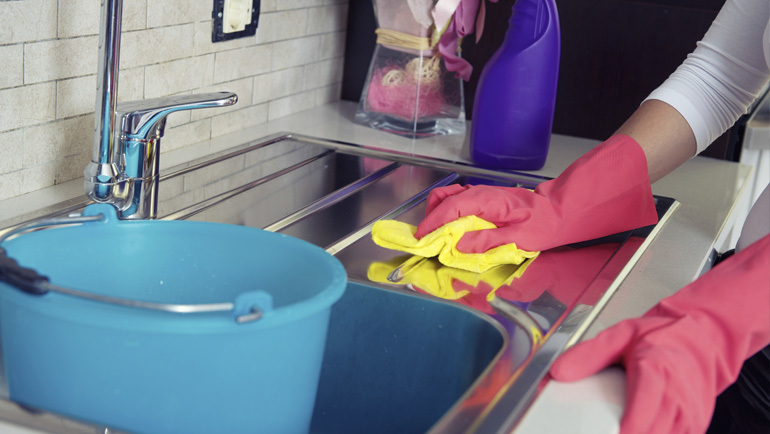 The cleaning checklist also includes a list of approximate costs for tenant-related damages and failure to clean properly (broken cupboard, hole in the wall, stained floors, dirty oven, etc.). Staff will conduct a thorough inspection of the unit with you and discuss any potential costs for repairs/improper cleaning. This inspection is meant to ensure you are fully aware of these costs and give us time to arrange labour for necessary repairs. Return residence keys to the Front Desk. The cost for unreturned miscellaneous keys (laundry, mailbox, parkade, etc.) is $5-$15 each. If a door lock replacement is required, you will be charged $92 for each lock cylinder we have to replace. We will conduct a second and final inspection of the unit to determine if an assessment (cleaning charge) will be levied against your damage deposit. Our policy is to document this inspection (photo/video), should you choose to dispute our findings. If you’re eligible for a damage deposit refund, leave your contact information with the Front Desk. Contact Canada Post to forward your mail. Residents may dispute assessments (cleaning/damage charges) in writing to the Building Services Manager, 2707 Tennis Crescent, Vancouver, B.C., V6T 2C1.